"How Cancer Pain is Treated" and "Insomnia" are both now in Second Edition. The former is now also available as a printed booklet or an editable file, as well as an eBook in PDF format. Wanterfall eBooks publishes eBooks and articles on a wide range of topics, including non-technical health education, self-help and personal growth techniques, and travel health. From 2013, some titles will also be available as printed booklets. You will not find any advertising on this site, and you will not be asked to register before reading or downloading any of the content. All downloads from the site are free, and all Wanterfall eBooks publications may be freely redistributed, in part or in whole, in any quantity or format, for any non-commercial purpose, under their Creative Commons License. We are all capable of feeling a wide variety of emotions, covering the whole range of human experience from contentment, optimism and affection to misery, despair and hatred. This challenging article defines six "primary emotions" as the fundamental building blocks from which more complex feelings are derived. Other articles in the same series discuss the root causes and secondary effects of emotions, and describe various techniques for working through emotional pain and finding peace of mind. 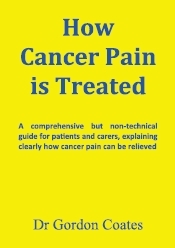 This series of articles, written specifically for patients and their carers by a doctor with considerable experience in palliative medicine and hospice care, explains in non-technical language the many ways in which cancer pain can invariably be relieved. Both drug and non-drug methods of pain management are described, with particular attention to the optimal use of analgesic medications. Non-verbal communication is perhaps a little like breathing, in that we often take it for granted, or even ignore it completely. 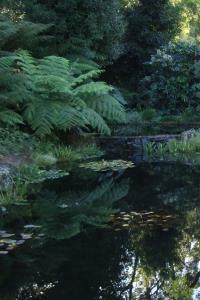 Of course, most of the time, we breathe fairly well without needing to give the process any particular attention. However, when it comes to communication, it is best not to leave too much to chance! This article explains the basic principles of non-verbal communication, with many examples. Other articles in the same series describe a wide variety of ways in which communication skills can be improved. This article describes the emotions experienced in response to a great loss such as bereavement, and the painful but essential process of moving through grief, with frequent reference to the work of Elisabeth Kübler-Ross (with whom the author studied and later worked). Later articles in the same series describe safe methods of exploring, expressing and evaluating painful emotions, which can facilitate the healing of even the most overwhelming, and apparently incurable, anguish. A small but slowly growing collection of "Philosophical Musings", which pose questions for the reader's own inner resources to ponder, concerning matters which, though they cannot adequately be expressed in words, may nevertheless provide nourishing "food for thought". "I can't get to sleep. I can't stay asleep. I don't sleep deeply. I don't sleep well. I wake up early. I wake up still tired. I wake up feeling anxious. I wake up feeling depressed." The list goes on... How often have you heard, or thought, one or more of the above? There are so many things that can interfere with sleep, that I sometimes wonder how we ever get any at all! Occasional sleep problems are perfectly normal, of course, but insomnia can be a terrible ordeal if it is frequent or severe. This article explains the many simple things which can be done about insomnia, and also gives advice about how to decide when professional help is needed as well. All ebooks and articles published by Wantefall eBooks are completely free - you pay no money, no registration is required, there are no advertisements and you will receive no unsolicited email. You are also free to copy, transmit, distribute or adapt any of the content, in any format or quantity, under a Creative Commons license, as explained further on the Copyright Page. You might like to read a little about the books and their author, below, and then browse through the books and articles using the online reading links at the bottom of the page. Alternatively, you can go straight to the Downloads Page, where the books, and most of the articles, can be downloaded (or alternatively opened in your browser) as PDF files suitable for reading on large or small screens. We all experience emotions – and the experience is not always pleasant. Being sensitive by nature, we are inevitably vulnerable to these feelings. But must we be helpless? What exactly are emotions, anyway? Where do they come from, how many are there, are they any use to us – and, if we don't like their effects, is there any way to get rid of them? Drawing on a variety of sources including western psychology and eastern philosophy, as well as the experiences of a long and varied medical career, the author describes a simple and practical model which can be used to understand, and potentially to relieve, the emotional distresses of everyday life. The book is both a subjective exploration of, and a practical guide to dealing with, the emotional aspects of human experience. However, it is not a form of therapy, and the techniques described in it should not be practised during the course of a mental illness. Mental illness requires medical treatment – whereas this book mainly offers mental exercise. The elements of the model described have always existed, but they are presented here in a way which the author considers potentially useful to a wide audience. A single underlying cause for our many emotions is suggested. Their complex effects on daily life are then discussed in detail, and simple techniques for their exploration and resolution are described. This book is written for anyone who would like to understand the human mind better – or who would simply like a happier and calmer life. However, it certainly does not guarantee either result. Nor does it pretend to explain life's underlying mysteries – which words cannot, in any case, effectively address. On the other hand, a better understanding and fuller resolution of emotions allows a clearer view of the mental landscape. That might well lead to a more peaceful and joyful life. But it would be an optional extra – bought with your own hard work. Why would you bother to read a book about something so obvious and routine as the exchange of information? Perhaps because, obvious or not, this is one of the most important things we ever do. In a very real sense, it is the interpersonal equivalent of breathing. Just as the physical life of any individual depends on breathing, the interactive life of any number of people, from a couple to a country, depends on communication. Another way in which it is like breathing is that we often take it for granted. Indeed, we ignore some aspects almost completely. In the case of breathing, that only matters in certain specific circumstances. Most of the time, we breathe fairly well without thinking about it at all. However, when it comes to communication, it is best not to leave too much to chance. To ignore some aspects of this vital activity is to wear interpersonal blinkers. Blinkers allow you to see ahead, but there is a very real risk of bumping into – or even falling off – unnoticed things which are right beside you. Especially (though by no means only) if you work with people, such haphazard interpersonal navigation is simply not good enough. No prior knowledge about the process of information interchange is assumed in this little book, and the emphasis is on the practical things which I have found most helpful during my medical career. As a result, some aspects are not addressed at all. Those that are included are discussed from a personal perspective, but I have not proposed any entirely new theories or methods. Despite their brevity, I think these notes provide a basic understanding of the principles and practices which enable good verbal and non-verbal communication. I therefore hope that readers will find them not only interesting, but also of practical value in their personal and professional relationships. Dr Coates was born in Melbourne, Australia in 1946, and studied medicine at the University of Melbourne and the Royal Melbourne Hospital. He entered General (Child & Family) Practice in 1971, working in various parts of Australia and England before settling in Sydney, Australia in 1977. His interests in western psychology and eastern philosophy brought him into contact with psychiatrist and thanatologist Dr Elisabeth Kübler-Ross in 1979, and he subsequently spent a year studying at her training centre in California. Returning to Sydney in 1981, he spent the next twelve years working in the field of palliative medicine. During those years, he directed new departments of palliative care in two Sydney teaching hospitals, attended a number of hospices, ran a community palliative care service and was a founding vice-president of the Palliative Care Association of NSW. His ideas about emotional health, communication, relationships and the untapped mysteries of the human mind have been considerably influenced by this work with dying patients and their loved ones, as well as by his later work in geriatric community care and his lifelong interest in eastern philosophy and comparative religion. At the beginning of 2007, Dr Coates decided to close his medical practice in order to devote the majority of his time to writing. Some of the results of that decision were the eBooks "Wanterfall", "Notes on Communication" and "How Cancer Pain is Treated". He is currently publishing shorter eBooks and articles on a wide range of topics, including understanding emotions, improving communication skills, self-help, personal growth, philosophy, pain management and travel health.